President Barack Obama has accepted an invitation to give an address at the University of Notre Dame commencement in May. But his pro-abortion and pro-embryonic stem cell research views have gotten a reactions from some 80,000 to 100,000 Catholics who are protesting in the form of an on line petition. Lifting a federal ban on embryonic stem cell research, he said just last night at a news conference, was the “right thing to do” despite criticisms from various quarters. 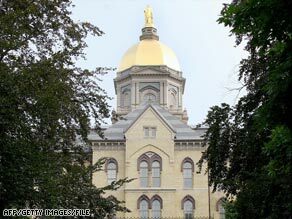 A White House statement released Tuesday said the president welcomes the “spirit of debate and healthy disagreement on important issues” sparked in the Notre dame community. But the discussion has spilled over everywhere, with reports in newspapers in London and Rome. “While he is honored to have the support of millions of people of all faiths, including Catholics with their rich tradition of recognizing the dignity of people, he does not govern with the expectation that everyone sees eye to eye with him on every position,” the White House statement said. The Catholic Bishop in Notre Dame’s area said he will not attend. We figure all the president’s men scripted it this way. In the age of cameras just about everywhere — including on city streets — Treasury Secretary Tim Geithner rolled out his new and improved “Public Private Investment Plan” before financial journalists today and without any live TV coverage. While the president is urging public confidence, his Treasury Secretary is so uninspiring that he is making his big announcements almost alone. Mister President: Better staff up at Treasury fast and find a refill for Toxic Tim…. 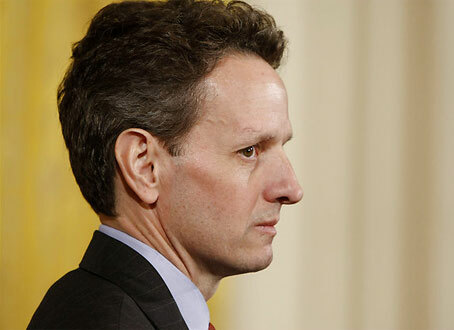 Geithner did rename “toxic assets” today….they are now legacy holdings. The stock market is up in early trading…. Warning to Joe Biden: stay with the telepromter or you’ll end up like Geithner….